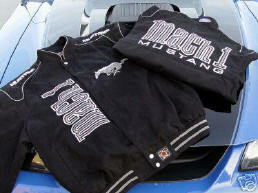 Mach 1 Registry celebrating 10 Year Anniversary - 2002-2012 !! Welcome to the Ultimate Resource for 2003-04 MACH 1 Mustang owners on the Internet. We are the ONLY 2003-04 Mach 1 Owner's Club ! "Welcome.... We are the #1 Resource of Mach 1 Information and Parts available on the Internet. I hope we can make this your #1 stop for Mach 1 Information & Products on the internet! There is NO Cost to Register your NEW Mach 1 and you can browse and use this site to gain more knowledge about this limited production vehicle. We have many new and exciting products coming out. 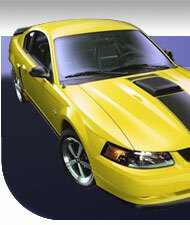 We are teaming up with manufacturers to give your Mach 1 a personalized touch. Keep checking the "Products" section for latest Offerings. We are the Only dedicated 2003-04 Mach 1 Site on the Internet. We have the one and only '03-04 Owner's list (over 12,000+ members), We Currently have over 1.2 Million Messages in the message forums, over 7500+ Mach 1 Images in the photo gallery and much more!!! Take a look around and enjoy yourself. Any questions or comments, please email us!" Celebrating over 10+ Years of Mach 1 Support and Enthusiasm!! 1. "Mach 1 Certificates of Authenticity" will be available to REGISTERED Mach 1 Owners In the Owners List. Your NAME MUST be on the owners list, (Which Ford Has a copy of) and we will send updates once a month, so if you are NEW, it might take a little while get listed and updated with FORD. PLEASE BE PATIENT. The Certs are $38.50 for members, $42 for non-members. (Perk for being a member). 1-800-FORD-788 Make sure you on the Owners List First!!! http://www.mach1registry.com/owners Check the database listing. Limited QTY's, ALL Sizes Available! OWNERS REGISTER YOUR CAR !! of '03-04 Mach 1 Mustangs. Problems, events, anything and everything Mach 1 Related! of Mach 1& Mustang Related Photos.